Back Home » Blog » Sports and Hospitality Lunch: What is the impact of Sport on Manchester? 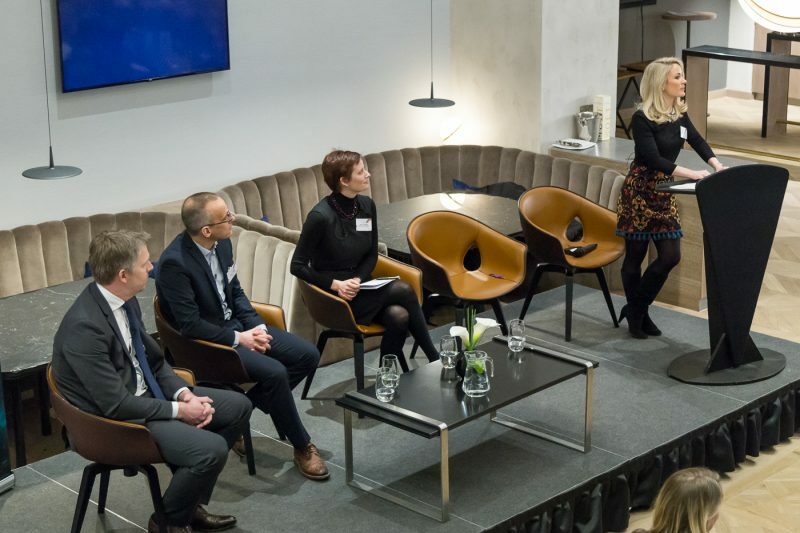 Over 100 people from a wide range of sporting and corporate organisations came together at the Etihad Stadium last week to discuss the impact of sport on Manchester, and what more can be done to ensure its continued success. Delegates were welcomed to the sell out event by Sam Booth, Deputy CEO of pro-manchester who thanked sponsors MMU for making it possible. She handed over to the event Chair, Holly Hamilton, Journalist and Presenter at the BBC. Hamilton spoke passionately about Manchester’s reputation for sport and the opportunities it brings to the city. There have been huge achievements in football, cycling, ice hockey, basketball and netball, to name just a few. More importantly, the city shows how sport can bring people together and its ability to inspire. Hamilton introduced the first panel: Sara Tomkins, Destination Director – Marketing Manchester; Yawar Abbas, Strategic Lead For Sport – Manchester City Council; and Danny Wilson, Operations Director – MCFC. 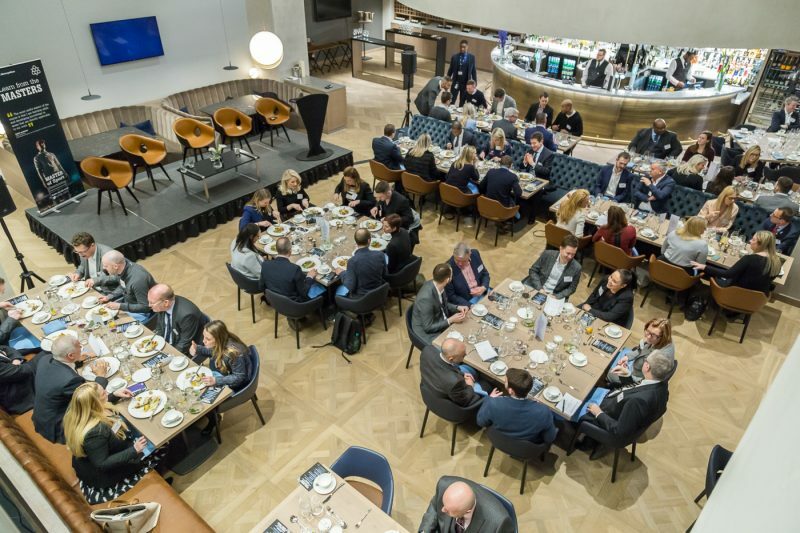 What is the impact of sport on Manchester’s hospitality sector? Tomkins opened by noting the impact of big games can be felt around the city and see the influx of tourists and hear the international voices. Data from 2010 showed £330m brought into the city by football alone, and the creation of 8,500 jobs in Greater Manchester. More recently Lancashire County Cricket Club reported £83m coming into the city linked to international cricket. Interestingly, sports visitors spend significantly more than the average tourist: £800. A very visible impact of sport on Manchester is the facilities created to support bids more international events. Abbas reminded the audience that Manchester is unusual is making such good use of its facilities post-Games, and in creating such a vibrant volunteer network. This was backed up by Wilson, who is booking in record numbers of concerts for the Etihad Stadium as well as hosting non-football sporting events there. The influx of visitors poses a challenge for Manchester’s transport and infrastructure but, as Hamilton quipped, it’s a good problem to have! Tomkins is working with a wide range of stakeholders to improve the public transport networks and build capacity for the future. She noted Manchester Airport is targeting an increase in passenger numbers from 27 million to 50 million, which will have an enormous impact on the city’s economy. Abbas commented on the huge potential for job creation. Since taekwondo was identified by UK Sport as medal potential after the Beijing games, it now provides full time jobs for 30 staff, plus 30 full time athletes and the academy. Similarly British Cycling has grown from a staff of 20 to over 300 employees. What is next for Manchester? Tomkins wants to ensure Manchester gets more of the 19m visitors currently going to London and to put Manchester on the global map as a destination in its own right. Sport is a huge factor when promoting the city and, as Abbas says, there is no shortage of events over the next few years. Abbas would like to see more done to transfer for the enthusiasm for spectating into participation in sports. The key growth sports are running and cycling, as opposed to those with a real sense of community or club spirit. Wilson agreed that the large events, such as the Rugby World Cup, should leave a legacy of participation. He further noted that Manchester’s student population is already becoming more involved in all aspects of sport. After a wonderful lunch, catered by Fabulous Fanfayre in the impressive Tunnel Club, Hamilton returned to the stage to open the second discussion. She welcomed back Yawar Abbas, and introduced his fellow panellists: Matt Johnson, Deputy Chief Executive – GreaterSport; Professor Jonathan Grix, Professor In Sports Policy – Manchester Metropolitan University; and Debbie Hallas, Managing Director – Manchester Thunder Netball. Abbas shared some key statistics from their recent report. Over £200m has come back into the city as a result of hosting events, and over 5,500 volunteers. Johnson has shown that for every £1 invested into a cycling initiative, the city gets £7 back. This impressive ROI is key to securing funding and investment. Does Manchester’s sporting success inspire more participation? Grix has interviewed 35 Olympians as part of a research project and all mentioned being inspiring by watching others compete and win medals. It has a particularly significant impact when elite sportspeople engage with schools. Johnson agreed, saying that whilst young people see Olympians and elite athletes as aspirational, adults see them as entertainment. Hallas is passionate about ensuring all the netball players remain accessible and set aside time on match days to meet young fans. Abbas reiterated that as only a very small proportion will go on to win medals in their chosen sport, the focus must be on wider participation and ensuring people continue to take part in later life. Hamilton asked if the focus is too heavily on medal chasing as opposed to participation – which just happens to be Grix’s specialist subject! He noted that there was no spike in participation after London 2012, but that actually no one has ever manged to achieve an increase in participation through investment in elite sport. The answer may be to invest in sports such as basketball that reach the inner cities but have limited medal potential. There is an important distinction between Sport England and UK Sport: the former focusing on increasing participation and the latter on medals. UK Sport is largely funded through lottery tickets and, as sales are dropping, Abbas expects to see a significant drop in funding after the Tokyo games. Grix noted the irony that the majority of lottery ticket purchasers are in lower socio-economic classes, which are underrepresented in sport. Johnson agrees and wants to see barriers to sport removed to make it more inclusive for all. Are we doing enough to encourage female athletes? Sport, particularly elite sport, remains male dominated and Hamilton reminded attendees that, for example, there is still no Manchester United women’s team. Hallas sees the opposite in netball with boys precluded from participating after primary school. However, there is still an issue in girls leaving the sport during their teenage years. Body confidence is often cited as a reason with girls feeling unable to attain the figure of elite athletes such as Jess Ennis-Hill. Abbas commented that the cooler, baggier clothes worn for basketball reduces these concerns. It is also important for girls to see women’s sport featured more heavily in the media. Only 12% of sport on traditional media features women, according to Grix, and of that much is sexualised and not conducive to aspiration. For both boys and girls, Abbas would like to see state schools measured on sport and to create better links with top sportspeople. Hallas further commented that more can be done to retain talent in Manchester, developing the work already being done by MMU and University of Manchester. The event closed with a call from Johnson for businesses to help the third sector communicate more effectively and to ensure continued funding and success. That’s definitely something pro-manchester is well placed to facilitate!